WeVideo Essentials stock library delivers the gift of time...for learning! This month is all about getting more: more creativity, more inspiration, more evidence, more authenticity, and of course, more video! Introducing WeVideo Essentials™—unlimited, in-app use of over 650,000 licensed, royalty-free, high-quality video, images and music tracks. 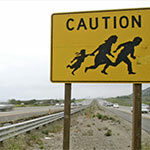 At no additional cost. There’s more to meeting goals than just “covering” a standard. Dr. Lang offers a roadmap for using research to evaluate edtech. What does real authenticity look like? Let first-year film student Sara Hernandez Vallejo show you with her moving video story. 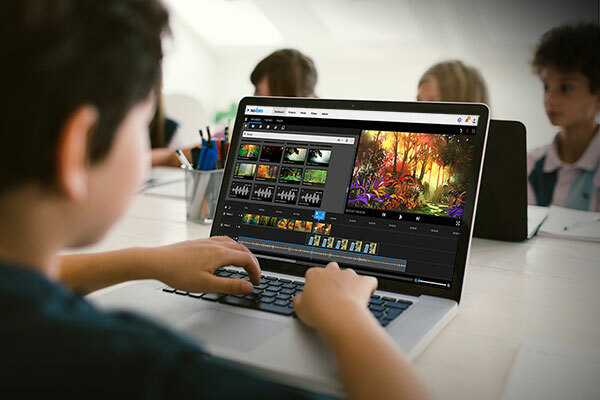 Hundreds of educators shared their insights on video creation as part of WeVideo’s 2018 Educators on Video in the Classroom study. 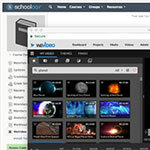 WeVideo now integrates directly with two of the most popular Learning Management Systems, Schoology and Canvas. Even better, our integration is free for WeVideo for School accounts. Mar 14-17 CUE - Computer Using Educators, Palm Springs, CA. Chief Education Officer Dr. Nathan Lang is co-hosting a session you won't want to miss. Visit us at Booth #457 for giveaways, interactive demos and green screen fun, and tweet @wevideo #CUE2018 to let us know you'll be there! June 24-27 ISTE - International Society for Technology in Education, Chicago, IL. We'll be at Booth #1258 and the Global Student Voice Film Festival celebration and screening during the conference! Tweet @wevideo #ISTE18. Just two weeks to save! We’ve extended our special offer. Just start a no-cost structured pilot evaluation program by 3/17 and save 25% when you purchase by 6/30. Our updated Admin Guide has the how-to’s you need to manage WeVideo for your class and school. View the updated guide. We're always looking for innovative and inspirational uses of WeVideo in school. Have a creative lesson plan or project to share? Share today and we’ll send you our famous green screen t-shirt! Spring motion titles are sprouting! St. Patrick’s Day is ready today, and Easter, Mother’s Day, Father’s Day and other seasonal themes are just around the corner. Log in now to check them out!